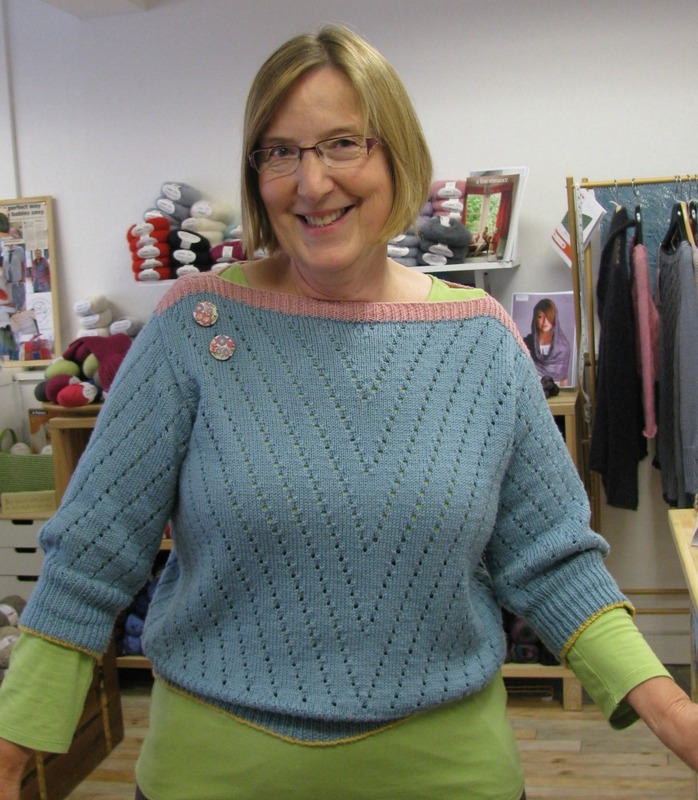 Lorna has knitted Susan Crawford's Jan Sweater, which is available in A Stitch in Time Vol 2. She knitted hers in Rowan Pure Wool 4ply, using some golden yellow to trim the cuffs and body and a dusky pink at the neck. The jumper is completed with some decorative fabric buttons.